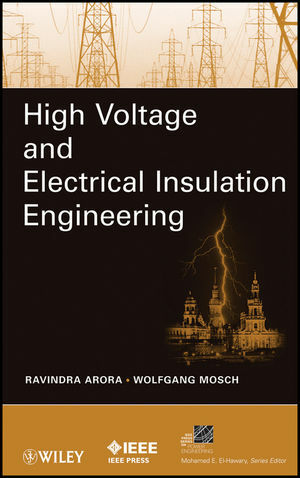 The book is written for students as well as for teachers and researchers in the field of High Voltage and Insulation Engineering. It is based on the advance level courses conducted at TU Dresden, Germany and Indian Institute of Technology Kanpur, India. The book has a novel approach describing the fundamental concept of field dependent behavior of dielectrics subjected to high voltage. There is no other book in the field of high voltage engineering following this new approach in describing the behavior of dielectrics. The contents begin with the description of fundamental terminology in the subject of high voltage engineering. It is followed by the classification of electric fields and the techniques of field estimation. Performance of gaseous, liquid and solid dielectrics under different field conditions is described in the subsequent chapters. Separate chapters on vacuum as insulation and the lightning phenomenon are included. Dr. Ravindra Arora retired from Indian Institute of Technology Kanpur in May 2008, where he worked for thirty-four years. At IITK, he established a unique high voltage laboratory, where he conducted research activity for more than forty master's theses, two PhDs, and a large number of undergraduate projects, besides having completed several industry-sponsored projects. He has been a Senior Member of IEEE since 1988 and is a Life Member of the Institution of Engineers (India). Dr. Wolfgang Mosch retired as head and chair professor of the Institute of High Voltage Technology in the Electrical Engineering (Power) Division of Technical University Dresden, Germany, in 1993. He has been actively involved with teaching, research, and industry in high voltage and insulation engineering since 1960.